Andrzej NAPIERALSKI was born in Lodz, Poland, on December 29, 1950. He received the M.Sc. and Ph.D. degrees from the Technical University of Lodz in 1973 and 1977, respectively, and a D.Sc. degree in electronics from the Warsaw University of Technology (Poland) in January 1989 and in microelectronics from the Université de Paul Sabatié (France) in May 1989. From 1973 to 1978, he was with the Institute of Electronics, Technical University of Lodz. In 1983, he joined LAAS-CNRS in Toulouse, France, working on gold doping influence on the parameters of high-power semiconductor devices. From 1984 until 1985 he was the lecturer in the Institut des Télécommunications d’Oran (Algeria). From 1985 until 1991, he was a member of the research team on power devices at the Laboratoire d’Automatique et d’Analyse des Systèmes du Centre National de la Recherche Scientifique (LAAS-CNRS), Toulouse, and Visiting Professor at the Institut National des Sciences Appliquées de Toulouse (INSAT). Since October 1991 he has been a Professor at the Technical University of Lodz. From 1992 until 1996 he was the Vice-Director of the Institute of Electronics, and since 1996 he has been a Director of the Department of Microelectronics and Computer Science. In 2002 he has been elected and in 2005 reelected as the Vice-Rector for Promotion and International Co-operation. In 1995 he received the title of Professor, and become the Tenured Professor in 1999. He was invited to many important Universities and Research Centers in Belgium, Denmark, Finland, France, Spain, Switzerland, Italy, United Kingdom, Tunisia, Canada and the USA. He gave many lectures and conducted several laboratories. He is an author or co-author of 963 publications: 6 books, 18 textbooks for students, 21 chapters in books, 160 papers in Scientifics Journals, 679 papers in conference proceedings and three patents. He was editor of 19 conference proceedings and 12 scientific Journals. He supervised 45 PhD theses; six of them received the price of the Prime Minister of Poland, one the Prize of IV Technical Division of `Polish Academy of Sciences, one prize and one the first place in the National Competition of the best PhD thesis in the System Sciences. He also supervised 455 M.Sc. theses (several of them received the prizes of the Polish Electrical Organization and the National Technical Organization). Currently he is a supervisor of over a dozen PhD theses. He participated in 8 TEMPUS programs (in three as the coordinator and contractor), two INCO-COPERNICUS, one ESPRIT, one NATO projects, two projects in the framework of fifth European Program for Research and Technological Development (SEWING IST-2000-28084 and REASON IST-2000-30193), two projects of the Sixth European Program: CARE and PERPLEXUS, three projects of Seventh European Program: EuCARD, EduMEMS and TIARA, 57 National Research Grants (in 28 as the head of the project) and 1 government of Poland expertise (PBZ). He is a member of many Scientific Committees of National and International Conferences, and for the last 18 years he has been the General Chairman of Scientific and Organizing Committee of the International Conference „Mixed Design of Integrated Circuits and Systems” – MIXDES. He is the member of the Electronic and Telecommunication Committee of the Polish Academy of Sciences and the Chairmen of Microelectronics Section of this Committee. He is a Senior Member of IEEE. From 2000 until 2009 he was appointment the Chair of IEEE Poland Electron Devices Chapter and from 2001 until 2009 as the Editor of IEEE EDS Newsletter for Scandinavia and Central Europe. 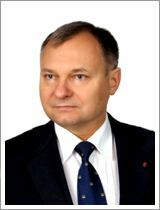 In 2005 he has been elected to SEFI Administrative Council (Société Européen pour la Formation des Ingénieurs) and as Polish Representative in this organization. In 2003 in Brussels, he received the Commander Cross “Merite d’Invention” of the Kingdom of Belgium. In 2004 he received Gold WIPO Medal (World Intellectual Property Organization). In 2008 he received the medal “Deserved for Russian Federation”. Furthermore he received many National and University awards. In 2008 he received the Degree of Honorary Doctor of Yaroslaw the Wise Novgorod State University „for the great merits in development of the University and outstanding contribution to science, culture and education In the Land of Novgorod the Great”.